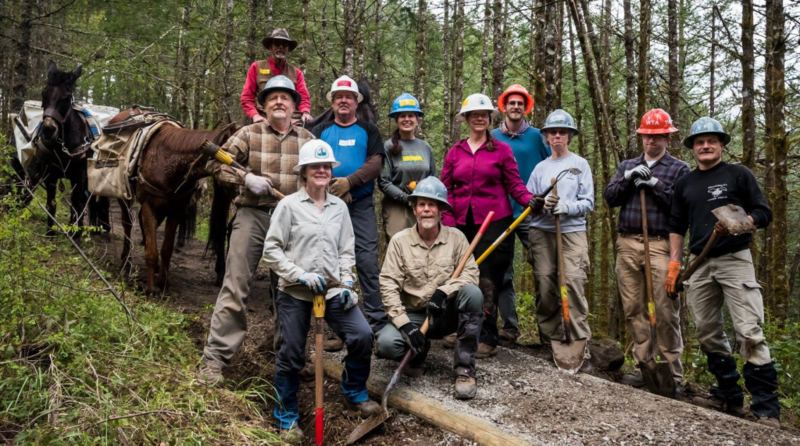 Volunteers at the 2018 Columbia Cascades Trail Skills College learn to build turnpikes and work with packers and pack stock. Photo by Les Taylor. You’re invited! The Columbia Cascades Trail Skills College is a free weekend event for volunteers to learn about trail maintenance and stewardship. Beginners and experts alike can benefit from Trail Skills College courses like Drainage Design & Drain Dips, Tread Re-Construction, Crew Leadership and more. 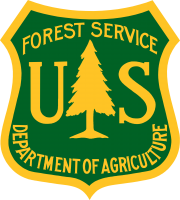 The 2019 Columbia Cascades Trail Skills College is possible thanks to the U.S. Forest Service, Oregon State Parks, PCTA’s Mount Hood Chapter, Washington Trails Association, Trailkeepers of Oregon, Backcountry Horsemen of Oregon, Backcountry Horsemen of Washington, and the Port of Cascade Locks. Are meals and lodging provided? Free camping is available to all participants on Friday and Saturday. Tent camping is available on Thunder Island and there are a limited number of RV spaces in the Port. Meals will be provided at no cost starting with dinner on Friday and ending with lunch on Sunday. What’s the fitness level of Trail Skills College? The fitness level will vary depending on the classes you select during registration. However, all participants should be prepared to hike a minimum of 1-2 miles while carrying personal gear and tools. Participants should also be prepared for the hands on learning opportunities in many of these classes, resulting in 6-8 hours of active trail maintenance per day. Detailed descriptions of all the courses are available here. Chainsaw and crosscut certification courses will be offered April 26-28 at Wind River. More details, including registration instructions, are available here. Online registration was open through March 22. Registration is now closed. Don’t forget, you can learn new trail maintenance skills by volunteering on a PCTA trail crew any time. Most crews do not require any previous trail maintenance experience. Knowledgeable and experienced crew leaders are on site to teach you the necessary skills. Visit the online project schedule and Mt. Hood Chapter Eventbrite to find trail projects near you. If you have questions about Trail Skills College, contact PCTA’s Volunteer Program at 916-285-1838 or [email protected].